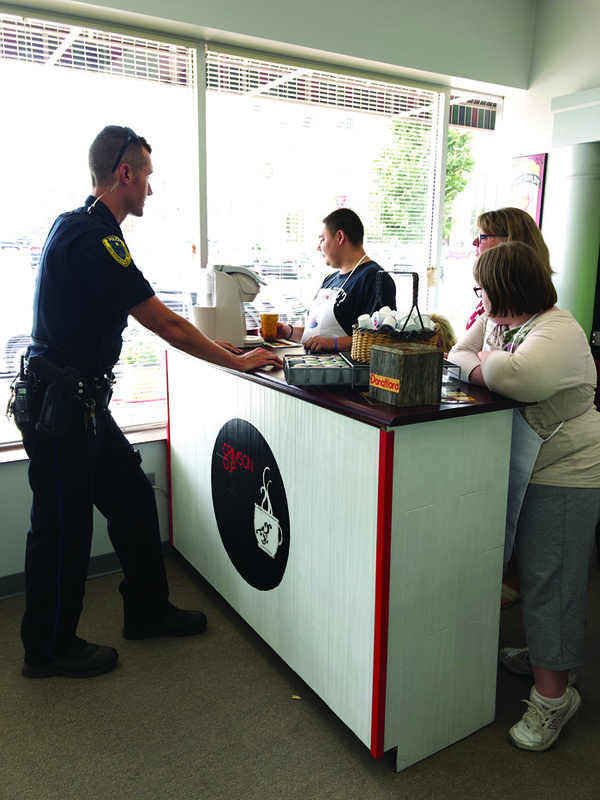 The Transitional Adult Program, (TAP), which is part of District 117, is announcing a new coffee option in the downtown area. Located in the Crossroads Learning Center building, the Crimson Cup will offer an assortment of hot teas and hot coffee on school days. TAP centers around teaching District 117 graduates ages 18-22 independence, social skills, work skills and life skills. Former District 117 students (or their parents) that had Individualized Education Plans during their school years can choose to attend the program. Currently, the classroom includes students with autism, Down’s syndrome, and other differing abilities that may make traditional post-high school living harder. The classroom doesn’t look like a traditional classroom with desks and white boards, but instead includes comfortable living-room furniture and shared table spaces for social interaction, a kitchen, a laundry area, and more. The program is in its nineteenth year with daily schedules that include making and selling crafts, work packets, exercising, cooking, cleaning, learning time management and feeding their pet fish. TAP also serves as a safe space for students to ask questions and learn about living on their own without fear of judgement. Students take part in weekly shopping trips, monthly breakfast outings to McDonald’s and are treated to lunch by the JHS STEP program monthly, as well, all of which help them to learn to work in the world outside of the classroom. The goal is to learn to be independent to the best that you can be. Previously, students in the TAP program have worked at Knollwood Retirement Village, Aaron’s and hotels in the Jacksonville area. Before retiring, TAP classroom teacher Diane Storey wanted to help the students learn to build a self-sufficient business, and the idea of the Crimson Cup was born. 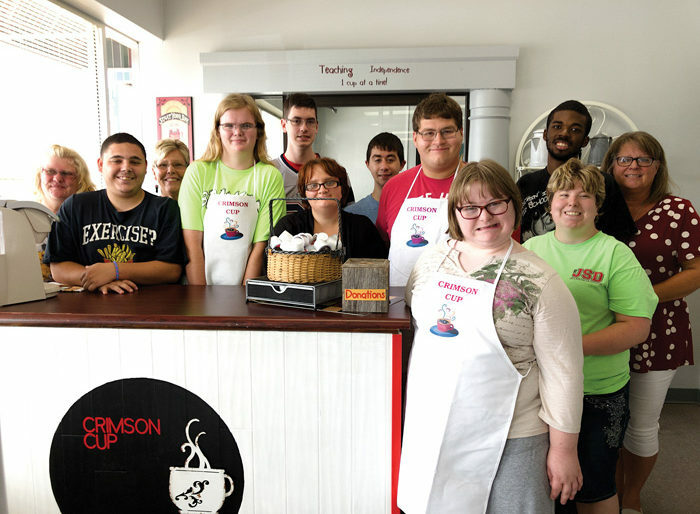 The students will be making the coffee and tea, keeping track of customers and orders, and learning to interact with the public on a daily basis. Storey and the students all mentioned that there is no competition intended around opening the Crimson Cup, but instead is all about the learning experience and social interaction for the TAP students. The assorted coffees and teas are available on a donation basis, with plans to possibly include pre-packaged snacks and sodas. The students were excited to talk about profits going back into buying more coffee and tea and possibly into outings or treats for them as well. They were also happy to note that they worked hard to prepare and that the Morgan County Health Department had given them approval in late August. Several students talked about how excited they are to work in the coffee shop and see how many customers they can serve each day. 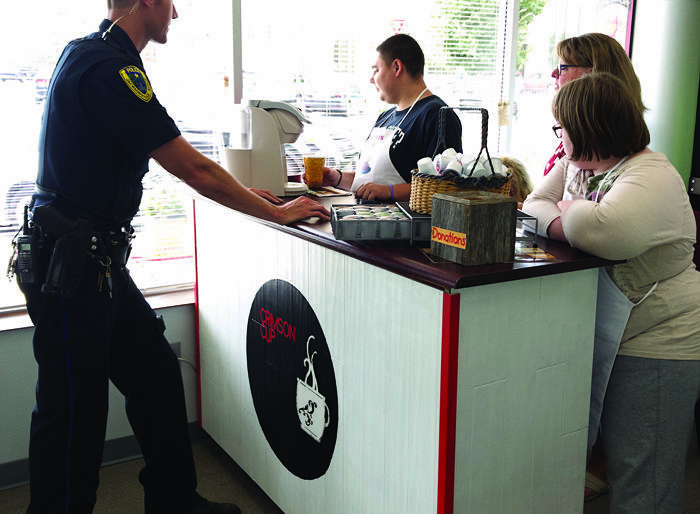 August 31 was their soft opening at which school personnel were invited to come check out all the excitement at Crimson Cup. September 4, 2018 is their official open date, with hours on Mondays and Fridays from 7:45 a.m. to 9:15 a.m., and on Tuesdays, Wednesdays and Thursdays from 7:45 a.m. to 10 a.m.